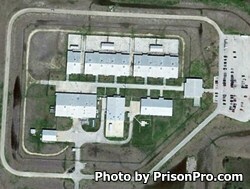 Bartlett State Jail is a privately run facility located in Williamson County Texas. This correctional institution is operated by Corrections Corporation of America and currently houses up to 1,049 male offenders of minimum and medium custody levels. Offenders at Bartlett State Jail can receive substance abuse treatment, take parenting and life skills classes, and participate in various religious services/activities. Bartlett State Jail offers vocational training to inmates in computers and carpentry. Additionally, inmates an earn their GED while incarcerated and take adult basic education classes. Medical, dental and mental health services are available to all inmate's who require them. Offenders can work within the institution performing various internal maintenance tasks. Visitation at Bartlett State Jail occurs on Saturdays and Sundays from 8am-5pm. All visitors must be on the inmate's approved visitation list in order to visit.